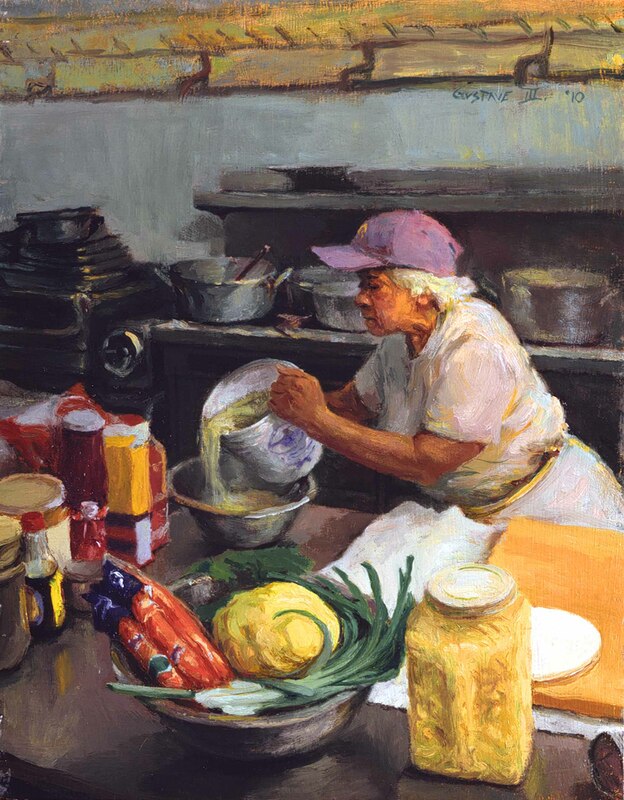 Ordinary people engaged in the process of their everyday work forms the primary subject matter of these intimate paintings by Louisiana artist Gustave Blache III. His painted scenes are contemporary. Yet, the size of Blache’s depictions, the ornate framing, and the subject matter recall the paintings of American and European masters in art history, from the laundresses of Impressionist Edgar Degas and the stonebreakers of Realist Gustave Courbet to the urban laborers found in the paintings of the American Ashcan School founded by Robert Henri. Nearly 60 paintings on view represent the artist’s major series to date and debut his recent Art Conservation series. This exhibition is made possible in part by Richard C. Colton Jr.
View our A Work in Process: Paintings by Gustave Blache III exhibition catalog here.